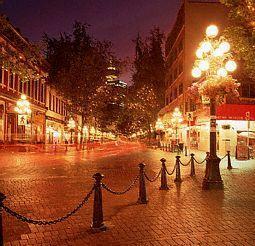 Gastown - Visit Historic Gastown, the birthplace of Vancouver! Welcome to Gastown! Where the history of Vancouver began! 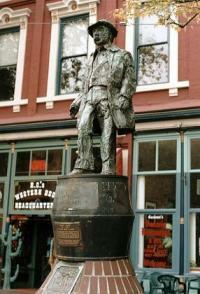 Located in the north-east corner of downtown, is this historical part of Vancouver known as the birthplace of the city. This part of Vancouver was established within the same year that Canada became a nation. This area of the city grew into Canada’s third largest cosmopolitan city at the time. Today, it remains charming and retains its historic independent spirit and distinctive look. Gastown is a complete part of Vancouver activity and attractions and it is a 'must-see' on our big list of recommended things to do, see and experience in this city. It is within walking distance of most retail outlets and shops, downtown hotels, theatres and attractions. Thousands of local residents and tourists connect with ferries, buses and trains in Gastown to commute around the city. Gastown is home to many local businesses in the fields of media, entertainment, art, design and architecture as well as consulting that serve not only the local market but also the world. It is also a very important tourist attraction because it has many hospitality and retail outlets, as well as family fun. 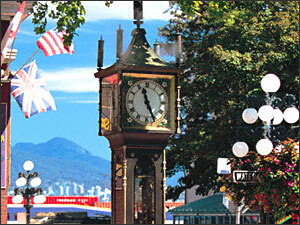 Make sure you see the world's only Steam powered Clock in Gastown. You can't miss it! It will blow clouds of steam as it sounds the Westminster Chimes every hour on the hour. The clock is extremely unique as it was designed in 1875, but was actually created in 1977 by a local chorologist by the name of Raymond L.Saunders. Introducing 'Gassy Jack' to your right, named after a gold prospector, saloon keeper and riverboat captain called John 'Gassy Jack' Deighton. He stepped ashore with a barrel of whiskey and proclaimed to the mill workers that if they would build him a saloon, he would serve them all drinks. There you had it! The saloon was up within just a day and just across from the mill. This was the day Gastown was born! Gassy Jack is truly a unique character you should read about when you are in Gastown. Upon the cobbled streets of Gastown you will see a variety of plaques placed everywhere. Take a second to read them and learn more about the 19th century buildings that help make Gastown what it is. You will love this historic gem in the city!